The Plastic Heroes are a London, UK, based band making a lot of noise with their adventurous blend of new wave guitar rock; heralding a golden age of glam rock. This is their new 2011 single! 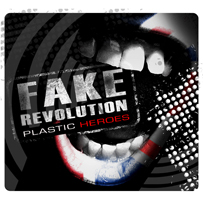 "Fake Revolution" made the Grammy Awards 2012 longlist for "Rock Song Of The Year".